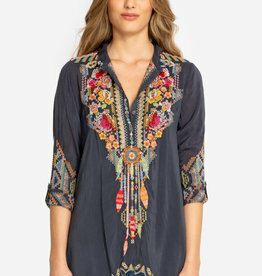 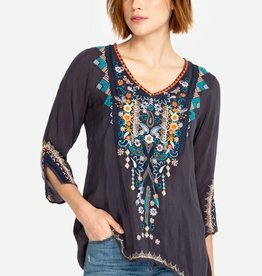 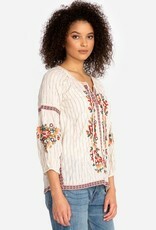 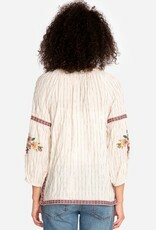 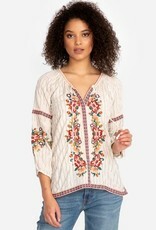 We're putting the chic back in boho chic with this cute-as-a-button peasant blouse. 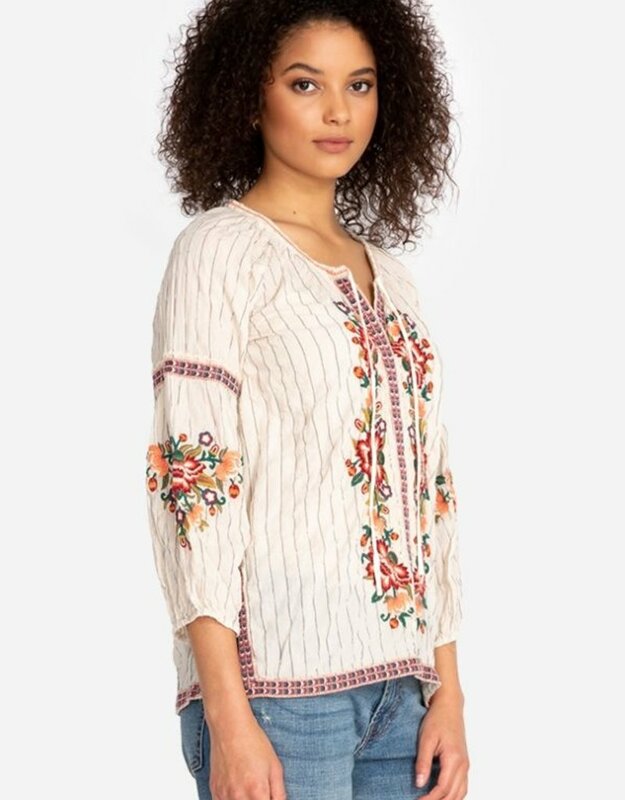 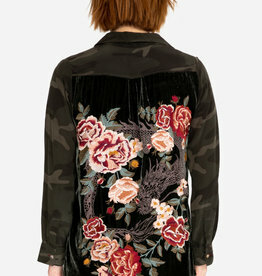 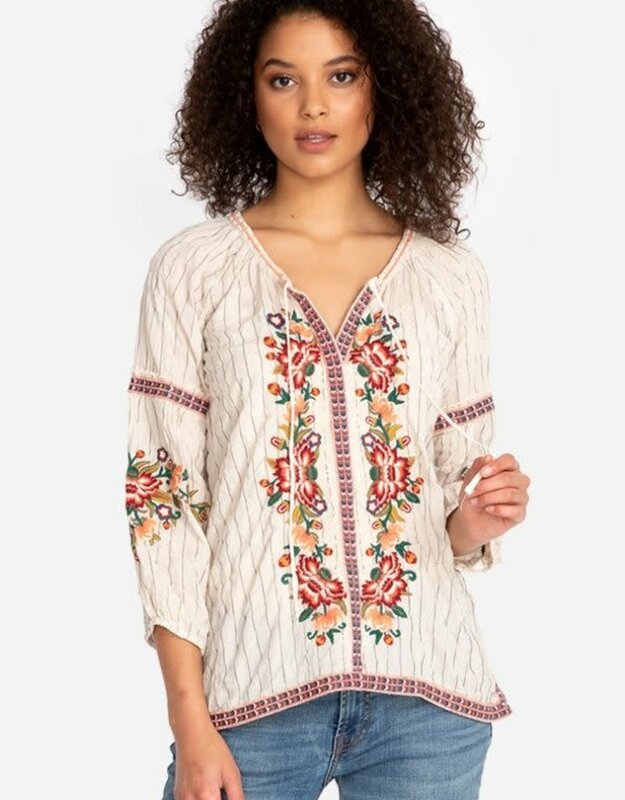 Sprinkled with florals on the bodice and sleeves and cut with fanciful strips of embroidery, the Juliene peasant blouse is not your basic top. 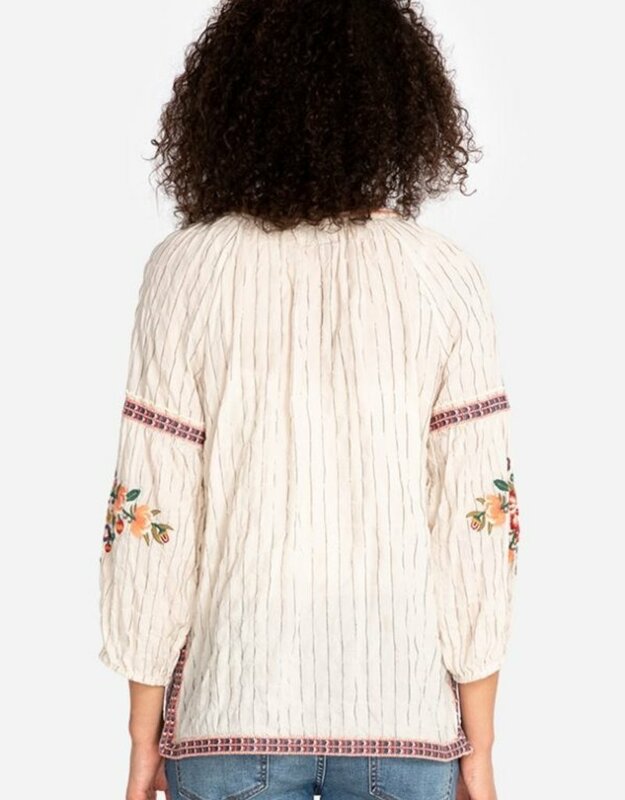 Cinched puffed sleeves, drawstrings, and slight pleating in the back tie this shirt together, creating a breathable, comfortable and fashionable silhouette.